Also buried at Valhalla are Curly Joe DeRita, the “Last Stooge,” who replaced Shemp Howard; the psychic Criswell, best remembered now for his part in Plan Nine from Outer Space; the woman who played the bailiff on Night Court; both Commander Cody, Sky Marshall of the Universe, and Rocky Jones, Space Ranger; silent-era sirens the Girl with the Million Dollar Legs and the Girl with the Bee-Stung Lips; munchkins and flying monkeys; Mae (Violet) Clark, who played the doctor’s fiancée Elizabeth in the 1931 Frankenstein; and Aneta Corsaut, who played Steve McQueen’s girlfriend in The Blob. Even performing animals rested there. Circumventing the prohibition against pets being buried with their owners, animal trainer Rudd Weatherwax asked for his casket to be lined with the ashes of his beloved dogs, so they could be together for eternity. He’d trained several of the movie Lassies and twenty years’ worth of TV-show dogs. Most of Valhalla is a level green field, which makes it difficult to find graves you might like to visit. Make sure you bring along a copy of Permanent Californians or Forever LA. 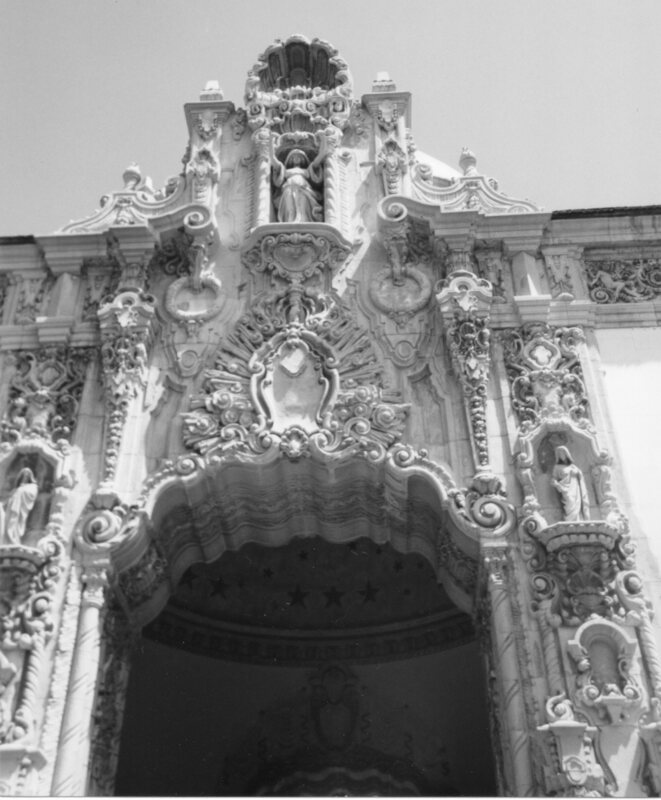 The gem of the cemetery is the five-story-tall Spanish Revival dome that dominates its flat green field. Built in 1924 as the Valhalla Memorial Rotunda, the towering dome originally served as entryway to the cemetery. It is tiled in sky blue and terracotta, cream and pale orange — colors of a sunset — laid out in a geometric, arabesque pattern. Rococo versions of all the Victorian death symbols frost the supporting base and cap work, along with the facings of the arched entries: inverted torches, ornate urns, wreaths, robed muses with downcast eyes. Above it all presided a graceful lady with outstretched arms, her gown swept back around her legs. The dome was sculpted by Federico A. Giorgi, who also designed a scene called “Balthazar’s Feast” in D. W. Griffith’s Intolerance. When he died in 1963, Giorgi was laid to rest in the lawn near his masterpiece at Valhalla. With its pleasant acoustics, the dome functioned as a concert hall and venue for radio broadcasts. That ended once the airport opened nearby in 1930. For a number of years, the dome has served as the temporary home of the Burbank Aviation Museum. When I visited, the free museum inhabited all four legs of the dome. Its displays ranged from mounted photographs to books of clippings, model airplanes, aircraft parts, and posters advertising aviation in the San Fernando Valley. Exhibits discussed aviation and the history of the shrine itself. At the May 27, 1996 re-dedication, Dr. Tom Crouch, Chairman of the Aeronautics Department of the National Air and Space Museum of the Smithsonian Institution, served as keynote speaker. 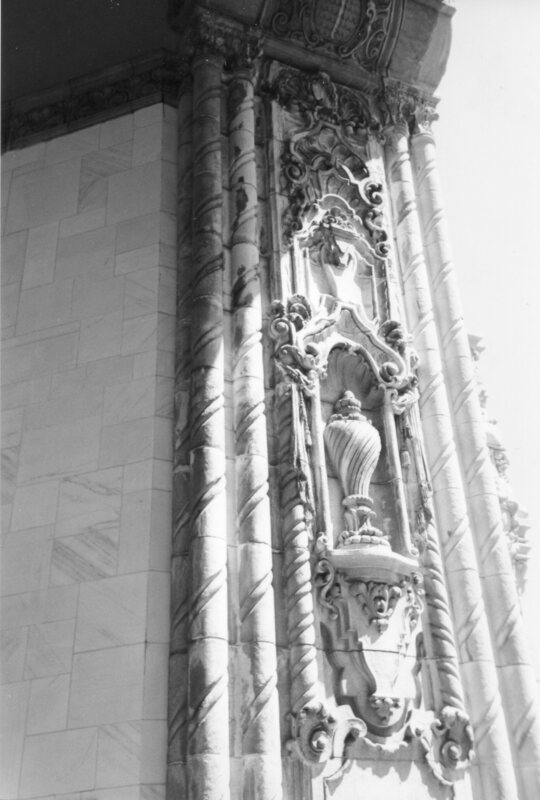 In 1998, the Portal dome was added to the National Register of Historic Places. The exquisite dome is a pleasant place to visit on a hot day in the San Fernando Valley. Staffed by volunteers, the museum is usually open Sunday afternoons, if the weather cooperates. Even if the museum itself is locked, the memorials are open during regular cemetery business hours. 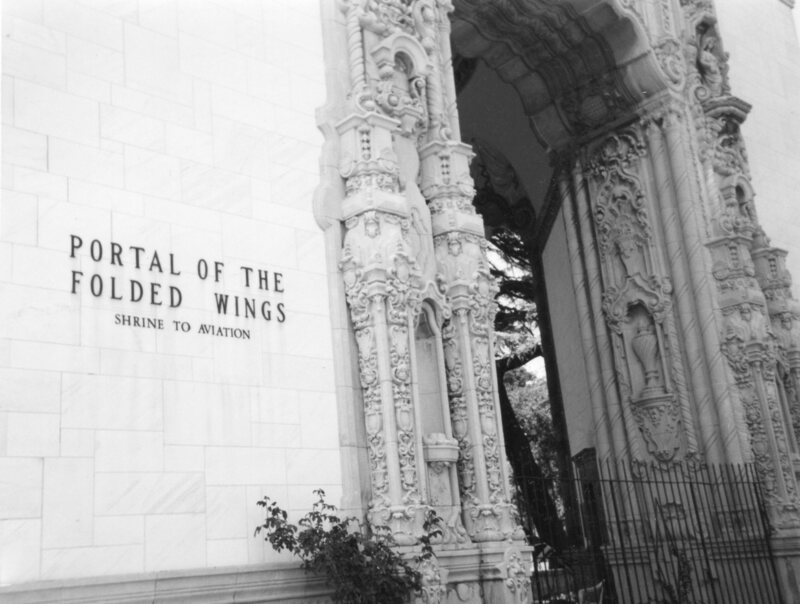 This entry was posted in Cemetery of the Week, Famous person's grave and tagged Los Angeles cemetery, Valhalla Memorial Park Cemetery. Bookmark the permalink. It’s a lovely place. Hope you enjoy your visit! Last time I was at this cemetery, it felt like a real bummer. The grass all looked dead and the entire place just looked really unkempt and not well maintained. I remember leaving there and thinking, I sure hope no one buries me in that dump! The dome is lovely though… perhaps they’ve fixed the place up a bit since my last visit. It’s funny how much cemeteries can change. A little bit of love — or lack of it — make a huge difference in their appearance.